What steps I’ve performed to fix this? In order to fix this first thing I did is to change Project Facets settings. 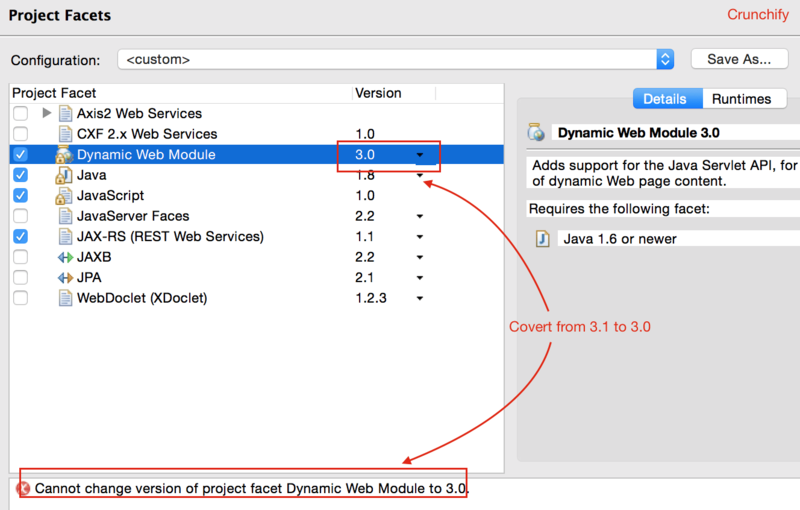 Change value from 3.1 to 3.0 for Dynamic Web Module as mentioned in below image. 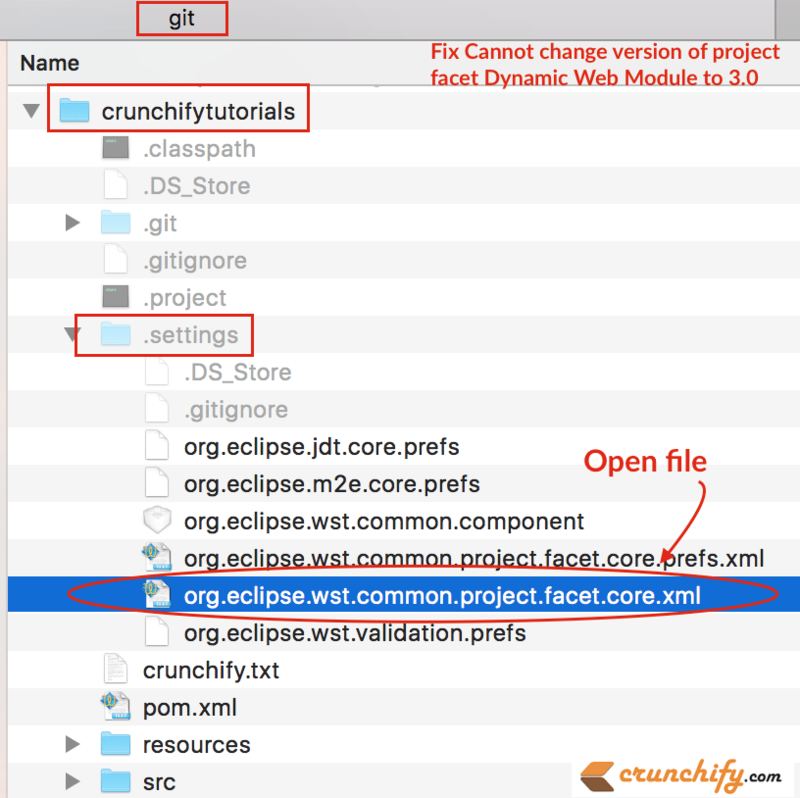 I was not able to apply setting as Apply and OK button was grayed out with error msg: Cannot change version of project facet Dynamic Web Module to 3.0. I was literally stuck at this point, then How did I fix this issue? Go to location and open file <workspace>/.settings/org.eclipse.wst.common.project.facet.core.xml. Modify version for jst.web property to 3.0 from 3.1 and save file. Now checkout Project Facets screen again and error should be gone for you. Let me know if this solution doesn’t work for you, I’ll debug more.